The time has come, our slides and posters are hopefully published online, our bags are (mostly) packed, preconferences are about to begin, and we are ready to be in Cleveland this week. It seems a little wild to me that it’s time for ACRL again. In 2017, this ended up being a pretty pivotal conference for me as a new professional to the field. In 2017, learned a lot in Baltimore, met the ladies who I would co-found The Librarian Parlor with, and met others who I consider good colleagues today. So needless to say, I’m excited to be in Ohio catching up with colleagues, learning about new programs and initiatives, and meeting new librarians. However, as much as I’m excited about ACRL, I also know this can be an overwhelming conference. There are so many sessions, things to do, and a city to explore. It’s great to have so many choices, but also can feel like too much all at once. With that in mind, I wanted to bring together some tips and tricks for making the most of this conference as well as highlight some great ways to meet new folks. Before the conference, I like to take a look at the schedule, mark any and all sessions I’m interested in, and then choose a few that I will attend, no matter what. These might be sessions my colleagues or friends are presenting at, a topic I’m really interested in, or something I’d like to learn more about. Having a few concrete sessions helps to create an outline for each day and then the rest, is up in the air, and based on how I’m feeling and who I run into. Create some learning outcomes for what you’d like to accomplish and learn about at the conference. Use the learning outcomes to guide what sessions you choose. Experienced conference go-ers recommend choosing one session/activity for the morning, one for the afternoon, and then setting aside some time to meet up with colleagues you do not see on a regular basis. Attend the First-Time Attendee Orientation on Wednesday evening to learn more about ACRL and get a sense of what you might like to attend later in the week. If you want some guidance on which sessions, we have had a few folks put together some lists of related sessions. These can be great ways to create your own theme to the conference, or find people who are interested in similar areas of librarianship. Now, I know looking at all those sessions makes you realize there is so much you will miss. It’s important to remember that you won’t make it to everything (and that’s okay). Some recommend attending sessions for things you do not know much about, in order to make the most of your time at ACRL. For all those sessions you miss (or want to know more about), you can review any contributed papers on ACRL’s website, download slides and handouts from the online conference program, and send an email to presenters to learn more. 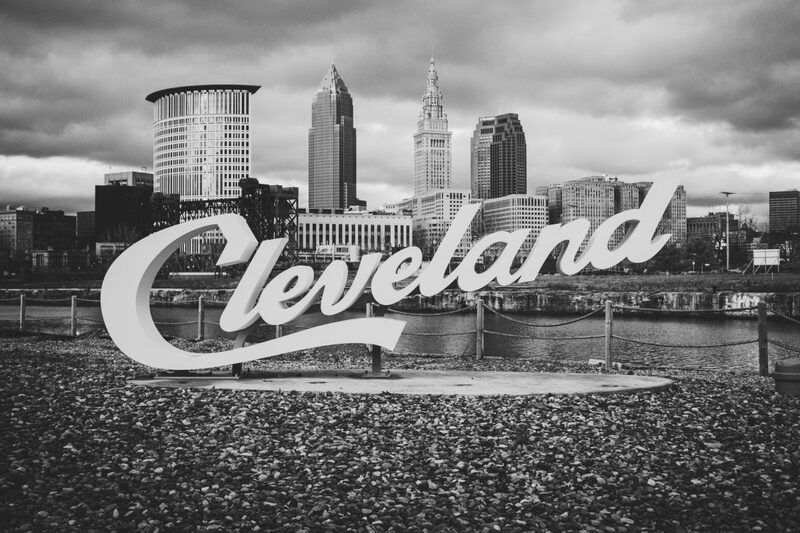 You’ll see what you’ll see at ACRL, but that doesn’t mean the conversation has to stop once you leave Cleveland. At a conference like #ACRL2019, Twitter can be a great way to learn more about what’s happening, connect with other colleagues, and share resources. Some folks will live tweet the conference, and others will tweet out their slides, surveys to fill out, and questions for the general #ACRL2019 community. It’s definitely worth following the hashtag and contributing tweets. The hashtag can also help you decide what sessions to attend. Along with Twitter, sometimes folks will create digital community notes to gather insight from sessions and share resources. For example, LibParlor has a shared community notes document where we’ll discuss a few sessions throughout the conference. These can also be great documents to return to once the conference is over. Fun fact about me: I’m very pro snacks. I would highly recommend having a few snacks tucked away that you can have throughout the conference. We all know that conferences like ACRL can take a lot out of you. Knowing this, it’s important to take breaks and stay hydrated. Sometimes you just need to go to a quiet corner of the convention center, or take a little walk outside. Trust me, you’ll feel better when you do. WOC + LIB Social Hour: Last week, a great new blog launched to showcase women of color in librarianship. Join co-founders LaQuanda Onyemth and Lorin Jackson to discuss future collaborations with the blog. LibParlor Meet & Greet: Join me and the rest of the LibParlor Editorial Team at ACRL. Learn more about the blog, discuss all things research, and discover ways to get involved! I know I’m not the only person who has put together a list of tips and tricks for making it through conferences like ACRL. Take a dive into these posts here at ACRLog and over at Hack Library School. If you have more tips or questions, feel free to comment below. Safe travels to all and I hope to see some of you at ACRL. Oh, and with spring weather in Ohio, it’s always a good idea to pack an umbrella! As an ACRL attendee hopeful, I was glad and thankful to see a blog offering so much information and advice about the event. Thank you also for the links. I’m confident that I will be prepared for the event, when occasion for my experiencing it comes. I was also motivated to check out your blog from my upcoming participation in a local conference (Greenville NC). Given the vast differences between a small, local conference to a national one, I was a bit intimated by the prospect of attending the ACRL Conference. I can’t imagine how much more magnified this feeling would have been, with my participation as a presenter. Thank you for the insights and suggestions that alleviated my concerns in these regards. I hope that you and all who attend and participate have a wonderful time. Oh, and taking rain gear is a wise thing to do. As a native Buckeye, I can attest to what the spring weather is like!